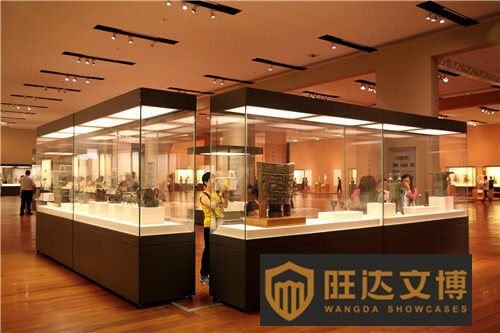 Museum Display Cases/museum showcases/museum display cabinets/vitrines from WANGDA SHOWCASES for National Museum of China.National Museum of China. 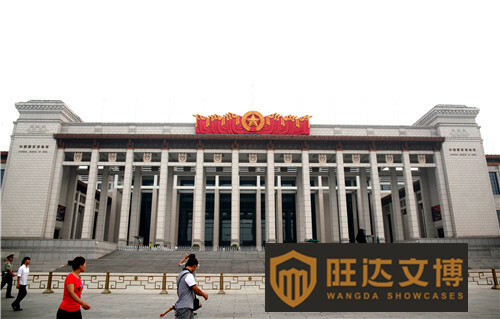 National Museum of China (Chinese: 中国国家博物馆; pinyin: Zhōngguó Guójiā Bówùguǎn) flanks the eastern side of Tiananmen Square in Beijing, China. 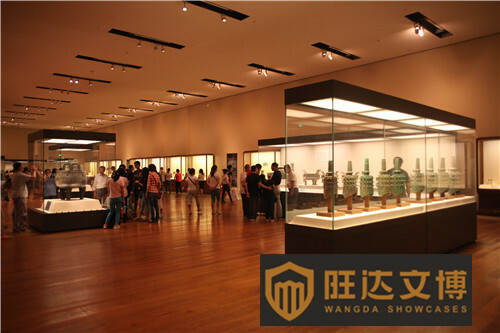 The museum’s mission is to educate about the arts and history of China. 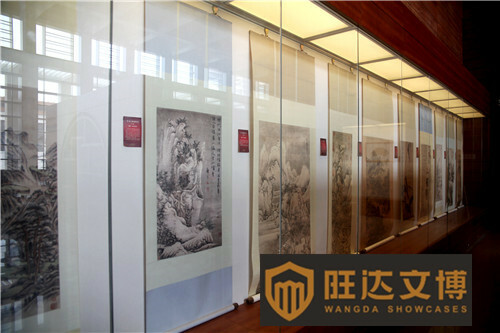 It is directed by the Ministry of Culture of the People’s Republic of China. 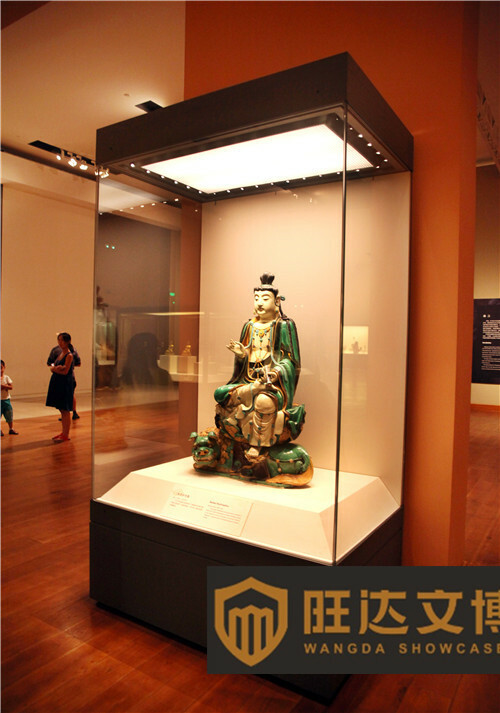 National Museum of China is one of the largest museums in the world, and with over eight million visitors in 2017, the National Museum of China was the second-most visited art museum in the world, just after the Louvre. 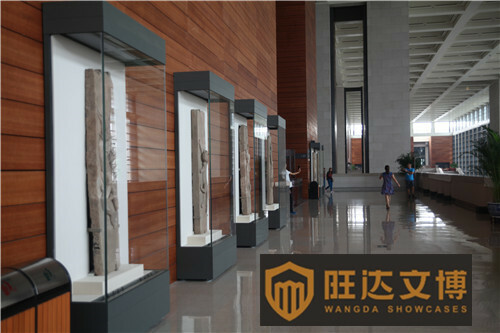 The museum, covering Chinese history from the Yuanmou Man of 1.7 million years ago to the end of the Qing Dynasty (the last imperial dynasty in Chinese history), has a permanent collection of 1,050,000 items, with many precious and rare artifacts not to be found in museums anywhere else in China or the rest of the world. 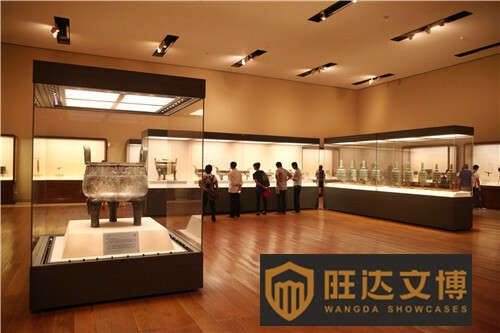 Among the most important items in the National Museum of China are the “Simuwu Ding” from the Shang Dynasty (the heaviest piece of ancient bronzeware in the world, at 832.84 kg), the square shaped Shang Dynasty bronze zun decorated with four sheep heads, a large and rare inscribed Western Zhou Dynasty bronze water pan, a gold-inlaid Qin Dynasty bronze tally in the shape of a tiger, Han Dynasty jade burial suits sewn with gold thread, and a comprehensive collection of Tang Dynasty tri-colored glazed sancai and Song Dynasty ceramics. 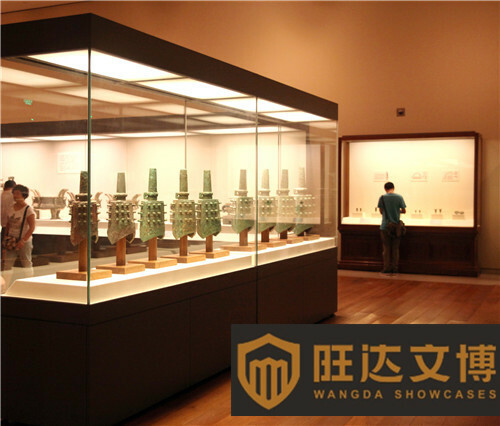 The museum also has an important numismatic collection, including 15,000 coins donated by Luo Bozhao.